/ Modified jun 25, 2018 12:25 p.m.
A male elegant trogon displays some of the colors that have made it very attractive for birders. 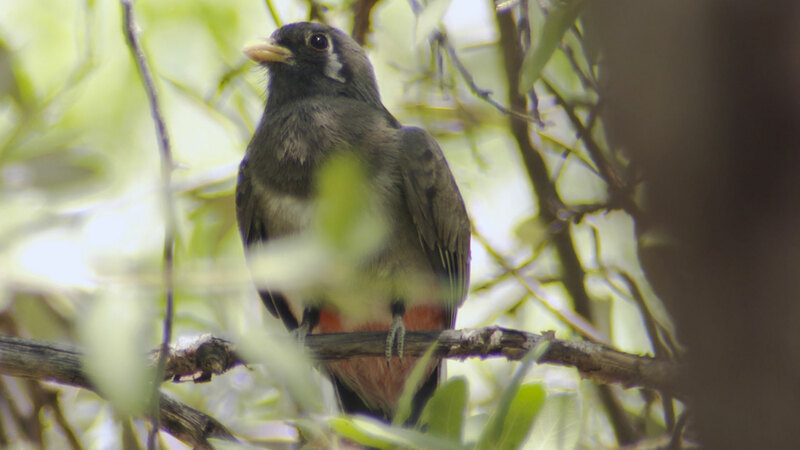 The elegant trogon, a bird that is usually associated with exotic locations in Mexico or Central America, is making itself at home in southeast Arizona. Volunteers with the Tucson Audubon Society recorded 183 of the birds during recent annual surveys in the Atascosa, Patagonia, Santa Rita, Huachuca and Chiricahua mountains. The brilliant bird, which is adorned in green, white, red and other colors, likes to nest in forested mountain canyons and is drawing many fans to Madera Canyon, which is easily accessible to people from nearby Green Valley and Tucson. Steve Holt is the owner and operator of Santa Rita Lodge in Madera Canyon, where birders make up an important part of the lodge's business. "We sometimes refer to it as the holy grail of birds," Holt said. "It's a beautiful bird — large bird — generally speaking about the same size as a parrot, and has a very unusual call. Sounds like a barking dog or a barking seal." Arizona has hundreds of bird species, and the elegant trogon is one of the top attractions for people who are passionate about birding. They contribute billions of dollars the economy around the nation when you include airfares, car rentals, lodging, equipment, meals and other expenses that are associated with their hobby. 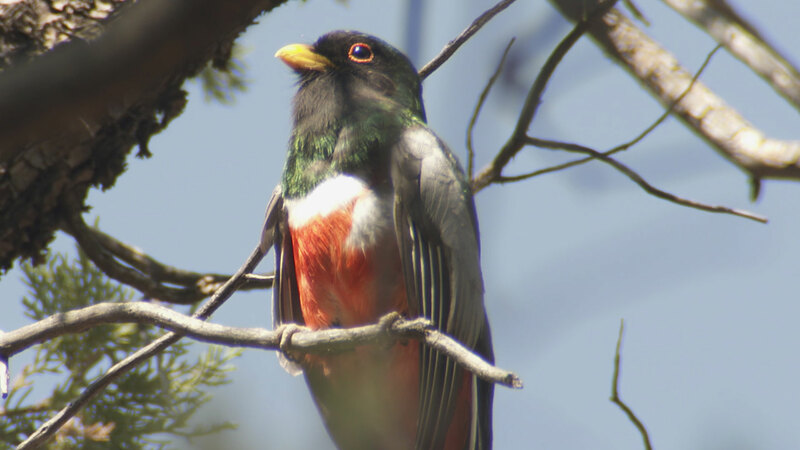 "I would say for birders in the United States, the elegant trogon is going to be at the top of the desired birds list for most people," said Jonathan Lutz, the executive director of the Tucson Audubon Society. "And the ability to fly to Tucson and in 30 or 40 minutes at the right time of year to be able to see one, it makes our location very unique and opportunistic for visiting birders." 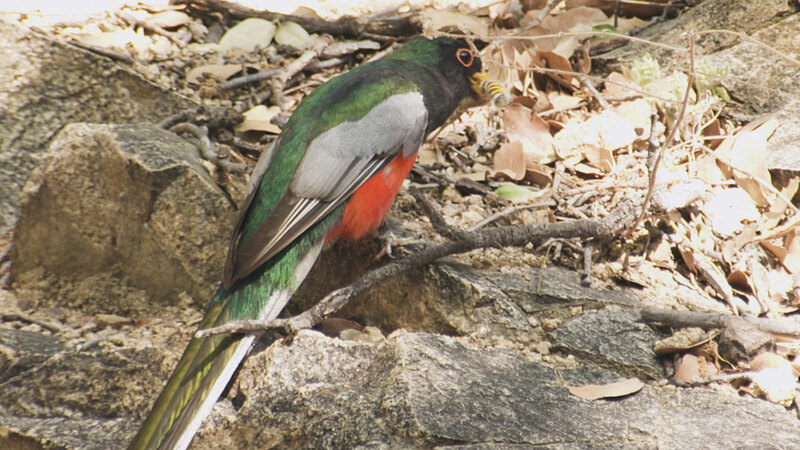 A male elegant trogon in Madera Canyon feasts on a caterpillar it picked off a tree. Although Arizona has some resident elegant trogons, most are considered migratory, and in recent years, their numbers appear to be increasing. Lutz said the higher numbers could be attributed to several factors, including habitat loss south of the United States border, climate change or simply better surveys with more volunteers. Either way, he said, the hot months of May, June and July are good times to try to see them in their Arizona habitats. "As a species there's nothing else like them that occurs in the states. " The elegant trogon is a member of the quetzal family, and the resplendent quetzal is the national bird of Guatemala. A female elegant trogon perches among the trees in Madera Canyon southeast of Tucson. Research Reveals Climate-Driven Bird Collapse in Mojave Desert Got Bats? Check Your Hummingbird Feeder It's a Bird! It's an Angel! No, It's Falcon Heavy!